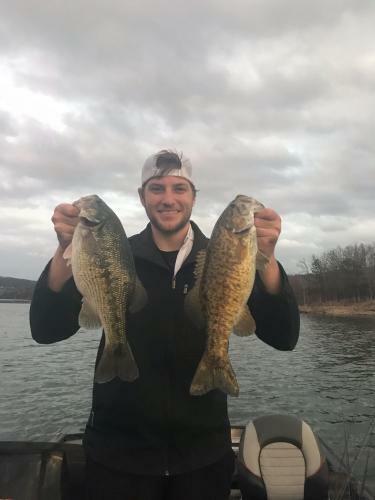 Finally made it back down to the best lake in Missouri (in my opinion) last weekend. 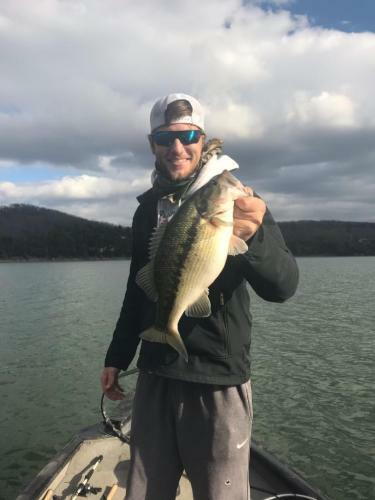 @Justin92297 and I found the bite to be fairly tough; atleast after 9 or 10 a.m. caught fish on an a-rig, single swimbait, and ned rig. I hate throwing that stupid a-rig, but after struggling I thought it might work well. It didn't. Fish seemed to be very scattered. I dont really have good enough electronics to fish deep since I was in my dads aluminum jet. What the heck happened to the jerk bait bite that everyone was talking about? I threw a jerk bait a ton and never even had a bite on it. We put in a bunch of hours too. Fished pretty much dawn to dark both Sunday and Saturday for 14 fish, 9 of which were keepers. 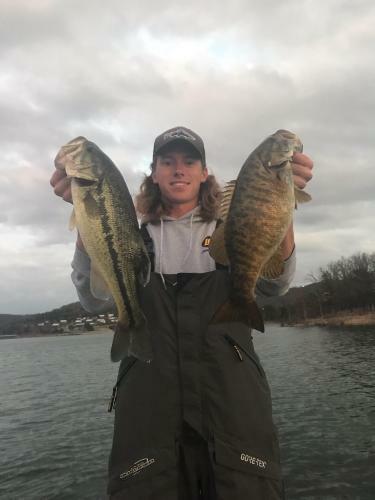 2 smallmouth, 2 largemouth, and 5 spots. I broke my pb spot with one that went 3.20. The spots are freaking huge right now. They almost all look like theyve swallowed a softball. We caught all of our fish on mainlake points 10-40 foot of water. I love this lake so much. Hoping to move there after I'm done with school. Tight lines everyone. Congrats on the size. Those are good fish in anybody's book. Those are great looking bass! 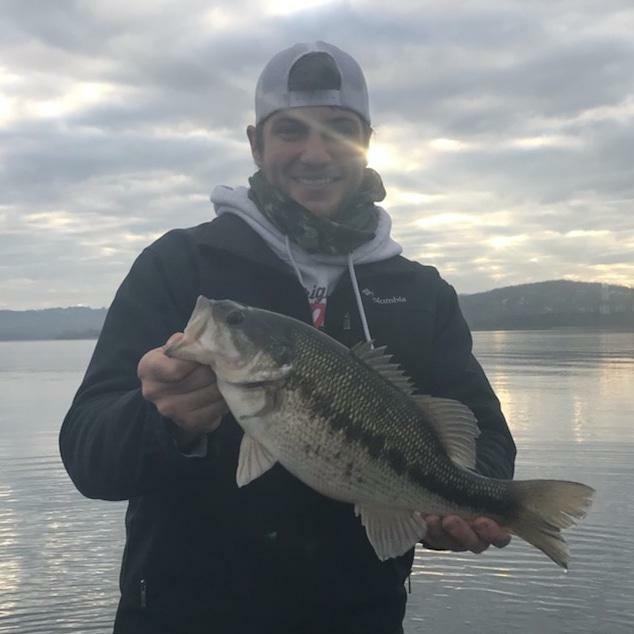 Congrats on catching the best footballs over the weekend! Awesome stuff! Good for you guys - I hope your dream comes true! Great Pictures of healthy bass. Congratulations. Very nice, love those big spots! Even on the best lakes, there are times when 9 healthy keepers in two days means you did well. Go back and look at the big league tournaments on all the great lakes. In every one, half the field does no better than you did this last weekend. And those guys/gals are the "best." We are glad you enjoyed your trip and would welcome you and your reports if you move here! Me too man. I used to say smallies were the hardest fighters on every body of water but, I'm tellin' you what, one of those mean ol' spots will give any smallie a run for their money in my opinion. Thanks! You're right about that! I have never caught a spot as large as any that you guys were catching. So I would still have gone with smallies as the hardest fighting black bass. Though would be willing to try one😁!